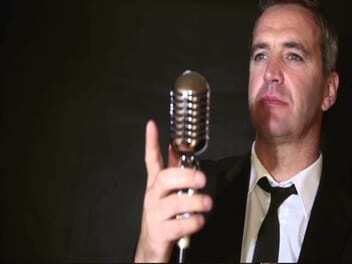 From Dean Martin to Michael Buble, few have captured the mood of swing quite like Shamie H. Let him sing the timeless ratpack classics or the contemporary swing of Michael Buble for your wedding, corporate event or birthday celebration. Dance the night away to the classic themes that have something for everyone and define the unique style of swing. Shamie’s easy rapport and dulcet tone will transport you back to the rat pack era. Shamie H lives in Magherafelt and is available to travel over Northern Ireland. He has an extensive repertoire and has sung in a number of venues across Northern Ireland including The Dunadry, The Marine Hotel Ballycastle, The Leighinmohr Hotel Ballymena, Jazzy's Cocktail Lounge ,Enniskillen and The Belfray Country Inn.